Squamish, Whistler, Pemberton & North Vancouver! We deliver, pack and store your belongings hassle and worry free. 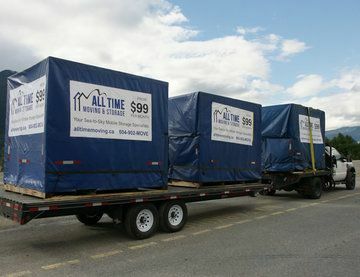 For long term or temporary storage, using one of our mobile containers is an economical solution. We have serviced residential, construction projects, commercial and business storage. It's a safe and cost-effective way to store your seasonal contents, tools and toys. 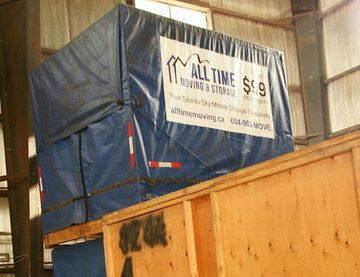 It's as simple as packing the container, storing it and then delivering it to your desired location when needed. 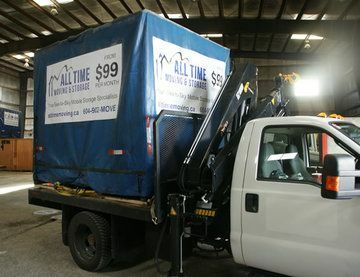 Whether it's a large renovation project or a small remodel, mobile storage units are the perfect solution to store all your belongings while you complete your home improvement. For the construction industry our units are the ideal way to secure your equipment and supplies until the next job. It's as simple as packing the pod, storing it, and then delivering it to the new site on your request. For events, film, catering and interior design industries there are many benefits to using our mobile storage containers and delivery system. You can use the container as lockable weatherproof storage during the event. When it comes to clean up you simply pack everything up and we'll be there to pick up and deliver, or store it for you until the next event.